One thing that always makes me cringe is when I hear about someone who has been asked to co-sign on a loan for a friend or family member. I cringe because I know just how often those situations can turn bad, and how the co-signer can often be left holding the bag. Usually there's a reason why the borrower is being asked to get someone to co-sign for them. Because they've a risky loan for the bank to make. The problem with co-signed loans is that far too often people don't know what they're signing up for. They think they're just signing on the dotted line to vouch for their friend or family member, when in fact they're actually becoming 100% liable for the debt. 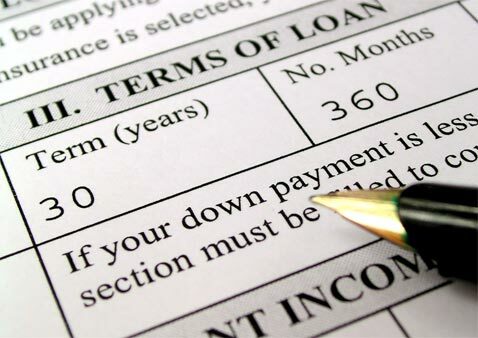 If you co-sign and the borrower misses a payment, the lender can collect from you immediately. You are being asked to guarantee someone else's debt when you co-sign a loan. If you are considering co-signing, be sure you can afford to pay the loan. Your liability for the loan may keep you from getting other credit you may want. Before you pledge property, such as a car, to secure the loan, make sure you understand the consequences. If the borrower defaults, you could lose your property. The person you're signing for IS a credit risk: If the person had good credit and wasn't considered at risk for default, they wouldn't need you to co-sign for them. Before you co-sign ask yourself if you would just directly lend this person money – because essentially you may be doing just that. You are putting your own money on the line: When you co-sign your own money and property are on the line, but you aren't able to affect whether the other person pays their loan or not. In the end you may end up paying for the loan yourself. In fact, of loans that default, up to 75% of the co-signers may end up paying for the loan! When you co-sign it changes and risks the relationship: When you co-sign for a loan, it ends up changing the relationship to a point where the relationship is risked if the person ends up defaulting. Why put yourself in this position and risk your relationships? Want some wisdom from a higher source? How about these bible verses from Proverbs – once again, they speak to the folly of co-signing. But I Want To Help! What Should I Do? Giving money directly as a gift: Sometimes you want to help, but don't want to strain the friendship because of a borrower/debtor relationship. Instead of co-signing, why not just give them a gift (if you can afford it), and if they want to, they can pay you back? Offer to help in ways besides money: Instead of putting your money and possessions on the line, offer to help the person in other ways. Help them to find a better job, offer to help them with their finances, drive them to job interviews. Encourage them to save up and pay cash: The person you're trying to help may not actually need to buy the thing they're trying to finance. Why not encourage them to save up and pay cash instead of incurring new debt? If you co-sign anyway, make sure the item is in your name: Make sure that your name is on the title or deed for the purchased item if you end up going against advice and co-signing. That way, if you're taking on the risk, you can also have some recourse if the item needs to be sold or repossessed. My biggest mistake was to co-sign a student loan for my ex-boyfriend's younger brother. I have a problem saying no to people that I feel have been dealt a bad hand in life. I felt sorry for him because his family couldn't and wouldn't help him, and I knew he really wanted to go to school. I thought it was a good thing and that he was on the right path with the right mindset. I wanted to believe in him. It turns out that he made me sign for two loans, not one like he told me. He had me sign the second loan by saying that the school lost the original papers and he had to resubmit the paperwork. Being the naive and trusting fool that I am, I believed him. Turns out he dropped out of school shortly after starting, and didn't give the school any notice so they could refund part of the money. He owed the creditor the full loan amount of almost $9,000. He did not make any payments for almost four years after dropping out — which, after fees, increased the amount owed to over $13,000. Now, years later, and after numerous phone calls, false promises, pleas and threats, he has finally made a deal with them to make three monthly payments for a reduced amount agreed upon. He could not come up with the second month's payment so I had to borrow from my credit card in order to help out, in the hopes that I can salvage what's left of my nonexistent credit after this is done with. He claims he will pay me back, but I won't hold my breath. If my advice doesn't scare you out of co-signing on a loan, hopefully the story above will. Don't allow yourself to be guilted into signing onto a loan for someone else's stuff! You get all of the risk, but none of the benefit! What do you think about co-signing on a loan? Have you ever co-signed, and if so, how did it turn out? Tell us your thoughts about the topic in the comments! else's debt when you co-sign a loan. you can afford to pay the loan. getting other credit you may want. you could lose your property. My son asked me to co-sign last year when he bought a new car and I declined. If I won’t get a loan for myself, I’m certainly don’t think a 23 y/old needs a car loan. He asked his dad (we’re divorced) who did exactly as you suggested. He gave him money instead. This cut down the loan amount to a number our son could qualify. I think for so many that it’s expected if you “love the person” that you “have to help”. I think you declining to co-sign is a great thing – and could help teach a lesson. At least his dad gave him a gift, and didn’t co-sign I suppose. When I was very young, I had someone cosign for a car for me and it almost got repossessed after I lost my job! Fortunately, I was able to do some gigs (I was a musician) to get out of the hole, but I felt bad and vowed never to be in that position again. You may co-sign for your child with the full knowledge that you can and won’t mind paying if he/she fails. Other than that it is naive to co-sign especially when someone has already got a bad credit and his/her own family won’t help. That horror story is a wake up call for savvy financial individuals, you shouldn’t ever co-sign a loan. I’ve heard of parents co-signing for their kids first mortgages, because they want to help them out. They certainly don’t think who is going to be liable if their kid can’t pay for their mortgage. They feel they are doing their progeny a favor, but they are actually setting them up for unrealistic expectations. If someone in your life can’t get the loan they need on their own, they simply shouldn’t have it. Co-signing is like enabling someone to get in a situation they have no reason being in. I think you summed it up best when you said that people who go about cosigned loans may not know what they’re getting themselves into. On the surface, it’s a great idea but when you have someone else signing alongside you, you have to stop and wonder, “Is it going to be beneficial to me in the long run?” It’s a situation where you have to be cautious; better to be safe than sorry, especially in this case. The only time my grandfather ever cosigned for someone was during WW2 for his brother in law who needed to buy things before enlisting in the Army. He always taught me that cosigning is a gift not a favor. I can attest to the wisdom of not co-signing loans! I had to learn to learn the hard way, I co-signed a loan for my girlfriends daughter and of course she had the car repossessed, it was an expensive lesson! Cosigning a loan is just a bad idea all around. I had a friend ask me to cosign for a personal loan which he swore he would repay as soon as he got back on his feet. I politely but firmly declined. Looking at his past history I think I would have been screwed if I had agreed. Previous Post: Where Can I Check My State Income Tax Return Refund Status?